Idea has stated that it is in the final stage of completing merger process with Vodafone. 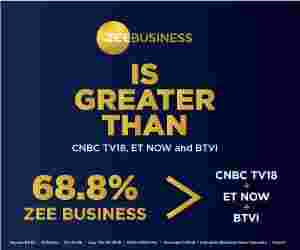 Finally, profit was seen by telecom service provider Idea Cellular during June 2018 quarter. The company posted a net profit of Rs 256.5 crore in Q1FY19. With this, the company has turned its losses, which was witnessed since last fiscal into a profit. Idea had recorded net loss of Rs 962.2 crore in Q4FY18 and loss of Rs 815.9 crore in Q1FY18. Also, for entire fiscal of FY18, the company’s loss stood at Rs 4,168.2 crore. This was not the only good news Idea witnessed during this quarter, in its audit report the company also mentioned that its merger with another telco Vodafone has been approved by Department of Telecommunication (DoT). Idea has also stated that they are in their final stage for completing merger process with Vodafone. Idea needed the deal with Vodafone to strengthen its presence in telecom market which has been disrupted by Mukesh Ambani led Reliance Jio. Even in Q1FY19, Idea did not shy away in explaining how RJio has given sleepless nights to them. Idea says during the quarter, the Indian mobile industry continued to decline under pressure from heavily discounted unlimited voice and bundled data plans & subsidised 4G feature phone from one of the operator, forcing commensurate response from other existing mobile operators to retain subscribers. Idea adds, “The sector presently offers voice and data unlimited bundles at unsustainable below cost price levels impacting the financials of all incumbent operators. As existing customers continue to prefer lower value deep discounted unlimited voice and bundled data plans, the Average Revenue Per User (ARPU) remained under pressure. Idea’s ARPU for the quarter was at RS 100 as against Rs 105 in Q4FY18. Analysts at Motilal explained that Idea has key risk in ballooning net debt and capex requirements beyond FY19 with limited OCF generation might necessitate further cash infusion. ARPU is not the only thing that has dented Idea’s potential of growth. As per TRAI’s data in first five months of 2018, Idea’s wireless subscribers performance has been quite volatile. At first, Idea held a market share of 17.16% with net addition of 1,144,631 of wireless subscribers in January 2018, this further increased to a market share of 17.47% with net additions of 4,424,147 and 17.85% with addition of 9,142,651 in February and March of this year respectively. Immediately in one month, Idea’s net addition of wireless subscribers decelerated to 5,550,721, however with a market share of 19.27% in April month. 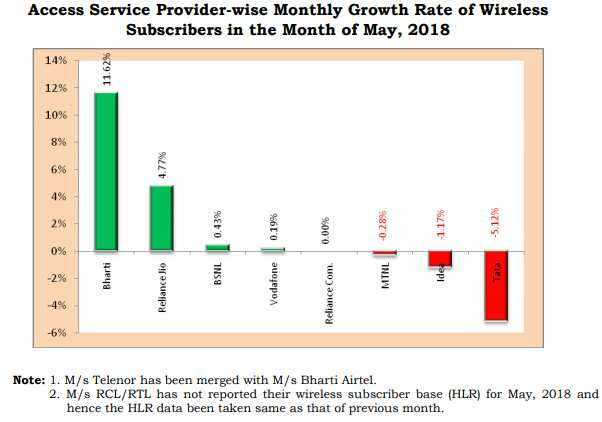 What shocked most was the latest TRAI data of May 2018, where’s Idea’s market share dropped to 18.94% from previous month. And interestingly, no net additions were made in fact 2,351,446 wireless subscribers left IDEA network turning into negative 1.17%. Therefore, Idea needs Vodafone merger deal soon. The combined entity Vodafone Idea Limited will become India’s largest mobile operator and also the second largest in the world with nearly 408 million subscribers. The key focus area for the merged team will be to fast forward the substantial cost synergies with an estimated NPV of $10 billion and rapidly expand the broadband coverage and capacity by redeployment of overlapping equipment & referring/consolidation of spectrum, etc, as per Idea. According to Motilal, this is how the merged entity is expected to adopt a combination of two approaches. Of the two networks (Vodafone and Idea), the merged entity will migrate subscribers to the operator that has leadership in the specific circle through ICR. This will not be just circle-wise, but at city, district and cluster level. In places where both operators are present, the merged entity will prefer to deploy anchor network, while the second operator’s carrier will be supplemented to anchor tenant keeping combined capacity same. There is limited broadband (3g, 4g) network overlapping between the two networks, which will help in improving combined network coverage.